Any particular strain of Cannabis may contain up to 200 different terpenes and 113 known variants of Cannabinoids. These medicinal molecules have been found to deliver expansive efficacy for a range of ailments including diseases involving chronic pain, a variety of psychological conditions including anxiety, depression, certain types of psychosis and systemic inflammation (a root factor in many diseases including arthritis, Cancer, Fibromyalgia and Chron’s Disease). The Cannabinoids contained within these plants and its derivative products (extractions, concentrates, etc.) are divided into two categories, major and minor. The two most prominent and renowned are Tetrahydropcannabinol (THC) and Cannabidiol (CBD). Other major Cannabinoids include Cannabigerol (CBG), Cannabichromene (CBC) and Cannabidivarin (CBDV). Cannabidiol (CBD) is one of the most remarkable compounds in the natural world. Originally discovered in 1940 by Dr Roger Adams and his team at the University of Illinois, CBD has been found by numerous studies to be particularly beneficial to health with little to no side effects. CBD is one of the few molecules manufactured outside of the human body by plants that readily cross the blood brain barrier. It’s half-life in humans is relatively long, approximately 3-5 days after oral dosing depending on factors such as weight and dosage. CBD and other Cannabinoids interact with the human body via a network of microscopic cellular receptors called the endocannabinoid system (ECS). The ECS is present not only in humans, but in all mammals including household pets such as dogs, cats, even fish and is directly responsible for managing critical bodily functions such as appetite, mood, sleep, metabolism, inflammation and the ability to ward off infection or disease. Scientists have identified the precise manner in which CBD molecules bind or dock with cellular receptors. The ECS is comprised of two primary receptor types CB1 and CB2. CB1 receptors are primarily located throughout the brain and central nervous system and feature at least two binding receptors to accommodate two or more Cannabinoid molecules. CB2 receptors are mainly found on white blood cells and in immune tissue indicating they have an immunomodulatory role particularly in inflammation. The process of CBD molecules binding with a CB1 receptor is known as allosteric modulation, this process limits the opportunities of THC and other endogenous Cannabinoids to stimulate the CB1 receptor in turn delivering a buffering effect to THC, decreasing its potency and assisting consumers who may suffer anxiety when using Cannabis. Today CBD is extracted from industrial hemp grown under licence and used as a food supplement to help improve and maintain health. You can find it in many forms such as tinctures, e-liquids, edibles, concentrates, capsules and many more ensuring any desired method of ingestion is catered for. An August 2000 study published in the journal Proceedings of the National Academy of Sciences of the United States of Americatitled “The nonpsychoactive Cannabis constituent Cannabidiol is an oral anti-arthritic therapeutic in murine collage-induced arthritis” found that “CBD, through its combined immunosuppressive and anti-inflammatory actions, has potent anti-arthritic effect.” This illustrates that CBD is effective in treating pain and inflammation associated with arthritis, an ailment that according to the NHS affects more than 10 million people in the UK alone. These examples are just two of numerous CBD studies available online. 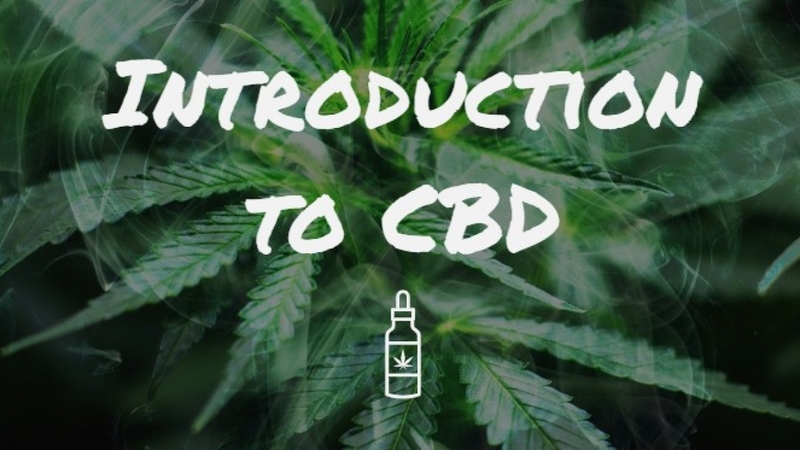 There is a plethora of information available there for patients to do their independent research on how CBD may help with their particular ailment or aid general well being. CBD is currently being used in two well-known prescription medications. Nabiximols (Savitex) is currently being prescribed to Multiple Sclerosis (MS) patients in the UK. It is a mouth spray containing both THC and CBD and is used to treat spasticity present in MS sufferers. The other is Epidiolex, a CBD based drug GW Pharmaceuticals have created to treat two rare and severe forms of childhood epilepsy, Lennox-Gastaut syndrome (LGS) and Dravet syndrome. Recently launched in the United States, it should be available for prescription by doctors in Britain and the rest of Europe by mid-2019 if approved by the European Medicines Agency in the coming months.